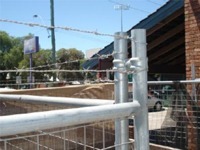 We have a range of optional extras to assist you with your fencing needs. If you are looking for something to provide dust control then scaffold net is the cheapest option. It is available in blue or black. The price for scaffold net includes installation and the extra bracing that may be required. For something that offers a bit more of a visual barrier as well as improving the aesthetics and controlling dust shade cloth is a good option. It is available in various colours including beige, black, blue, green & white, and also in various qualities including 50%, 70% and 90%. Price will include install and extra bracing. 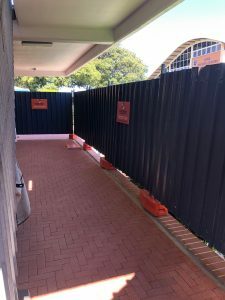 For a total visual barrier for your upcoming event or for areas on site where privacy is a requirement weedmat is the complete block out option. Price will include install and all extra bracing. Why waste a good opportunity to advertise your company, event or project. We can supply and install printed shade cloth to our temporary fencing and it looks great. We can print on various colours of 70% shade cloth to provide a really professional looking finish that will set you apart from the rest. The minimum quantity is 50 metres. We can also supply the following, banner mesh, printed banners, coreflute signs & site safety signs. 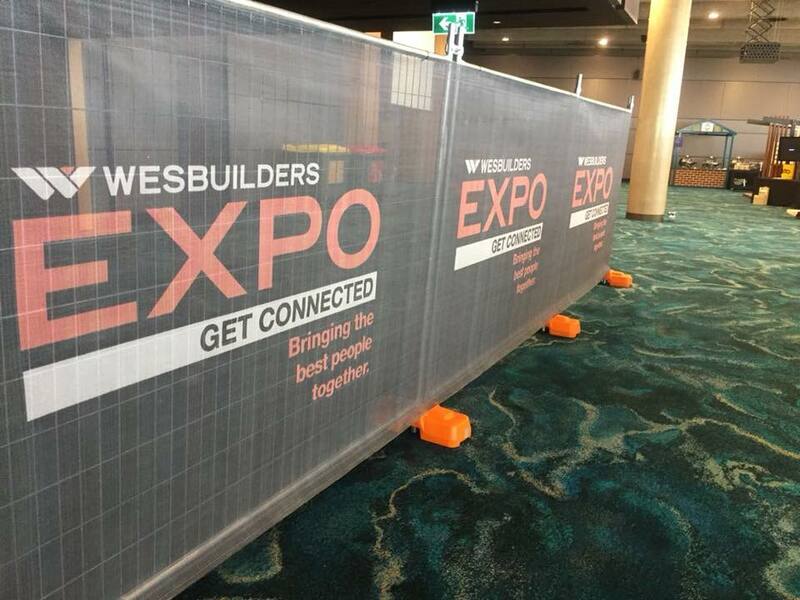 On some sites and for some events hoarding panels might be a requirement for safety, security or visual reasons. 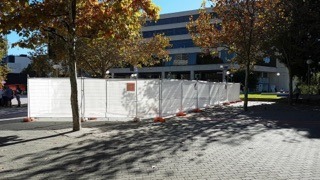 Centurion Temporary Fencing can supply temporary hoarding panels in various colours. Our standard colour is cream but if you would like a different colour to match your corporate colours please speak to us and we will see what we can do. 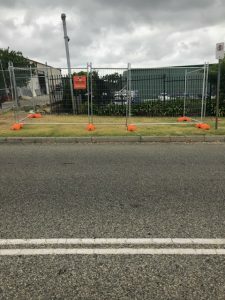 If you need some extra security / height or if barbed wire is specified by your client we can install one strand or two strands to the temporary fencing panels. 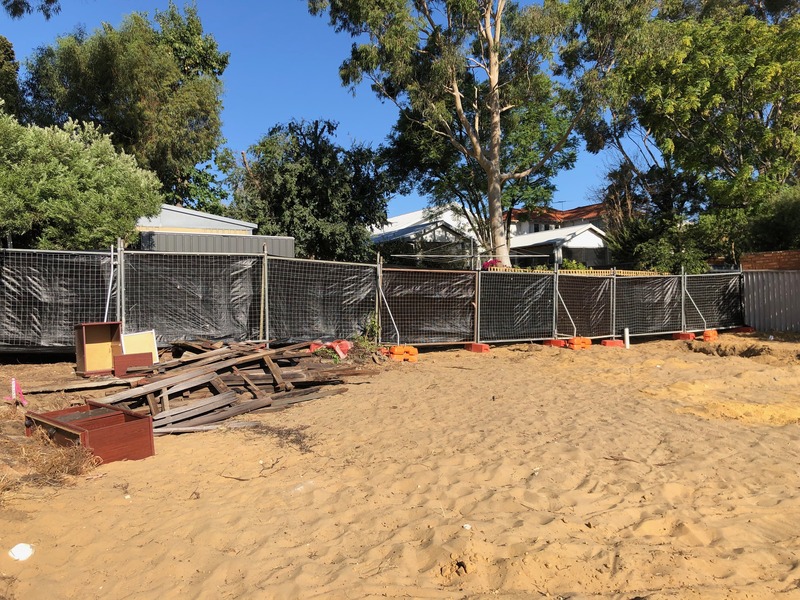 If you need to keep pets in during constructions or if the fence is to be installed on a boundary line and a neighbour has pets you might need to add pest mesh to the bottom of the temporary fencing panels to reduce the gap underneath. We can install these as we install the fence should you feel this would be beneficial. Ideal for events or sites where entry need to be monitored and controlled. 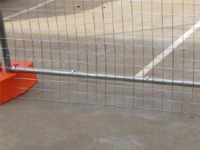 Pedestrian Gates can be installed at any point in the temporary fencing system. 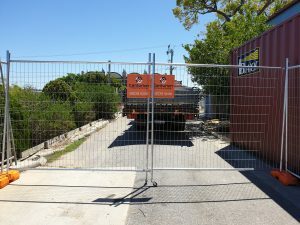 Vehicle gates are included as standard in our temporary fencing system and can be installed at any point. 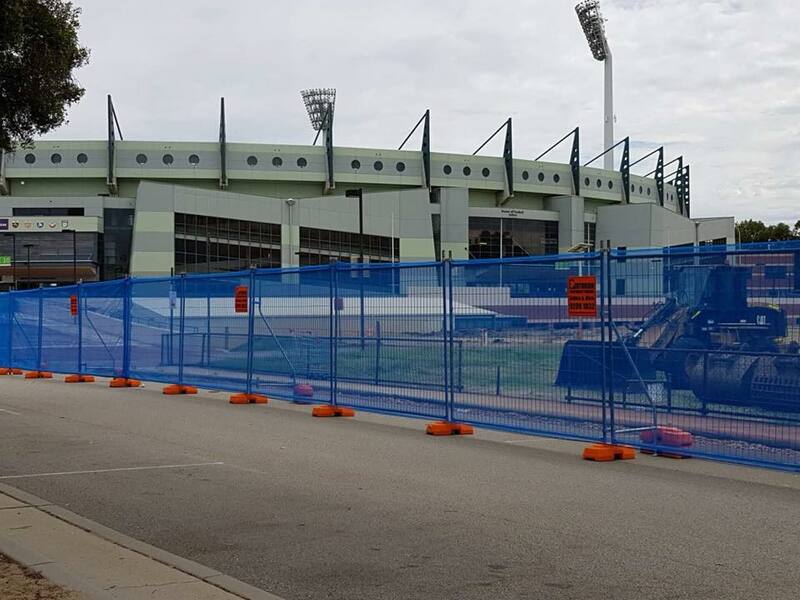 Double gates are 4.8m wide allowing plenty of room for large trucks and earth moving equipment to access the site. © Copyright Centurion Temporary Fence. All rights reserved.